When setting up your marketing campaign it is extremely important that you know your target audience are. You need to carry out research to see what problems people have and if there are any solutions. If there are solutions see how you can make your product or service better than what is out there. You should also see what people are searching for, buying and trends (the search terms can also be saved for your keywords). After setting your site up make sure it is related to your target audience and that you are giving good, sound advice and not just driving traffic to your site. 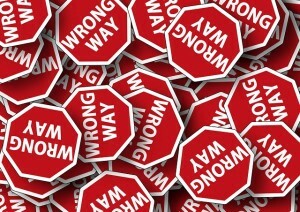 Internet marketing mistakes are also made when writing posts. You must write for your audience and not for the search engine. Although if you read what the search engines require nowadays you will find that the content must be related to whatever your visitor was looking for and when they leave your site they will feel they have not wasted there time. Driving people to your site must be about offering good content, with a mixture of offers and a solution to their problems. You need to connect with people by talking their language when giving advice so they know what you are offering and certainly do not confuse them by adding unrelated content. Another mistake is to have different solutions or content on the same page especially if it is one of the inner pages of your site (not on the first page). You should have one focus keyword and solution on that page but you can have a link going to another related page on your site or elsewhere. Mistakes are also made when paying for traffic as a load of money is spent on the wrong type of traffic by paying for generic words and not buying keywords. The difference being that someone might type in a search term “Marketing Products” with a high search volume, the cost of this could be very expensive and it doesn’t mean you have what the person is looking for. A buying keyword is usually a lot longer in length and have a smaller search volume for that particular keyword. So it might be something like “The Best Marketing Product for Setting up a Website”. Can you see that they have niched down their search and are virtually telling you they want to buy a product related to the search term? Even better still their search term might be “Where can I Buy the Best Marketing Product for Setting up a Website” and that is one of the best related search terms you can have and is a sure winner as long as your product lives up to their expectations. The opposite can also apply when a site owner thinks they can just rely on organic traffic “Free Traffic” and think, if they build it people will come. You must have a combination of both so that you get visitors to your site. There are a lot more ways but we won’t go any further with this in this article. Other Internet marketing mistakes that a lot of site owners do and get penalised for is by buying back links, scraping or copying other people’s articles to stick on their site. You can use articles from other sites as long as you give a link back to that site but it is far better and advisable to write your own or pay for someone to write them for you as long as it is original content. Make sure you stay in the guide lines of the search engines and are not breaking any rules such as Google as this will certainly help for ranking not just your home page but your internal pages as well.